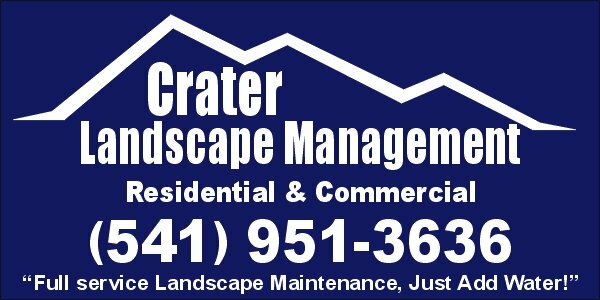 Full Service Landscape Maintenance and Management Company, providing a high quality customer service and moral workmanship. "Full Service Landscape Maintenance, Just Add Water!" Serving: Medford, Eagle Point, Central Point, White City, Shady Cove and outlying areas. Aerating the entire Rogue Valley and Klamath Basin. Like us on Face Book http://www.facebook.com/pages/Crater-Landscape-Management/178795645499069 , get tips and tricks to make the neighbor envious. Check out our radio spots! 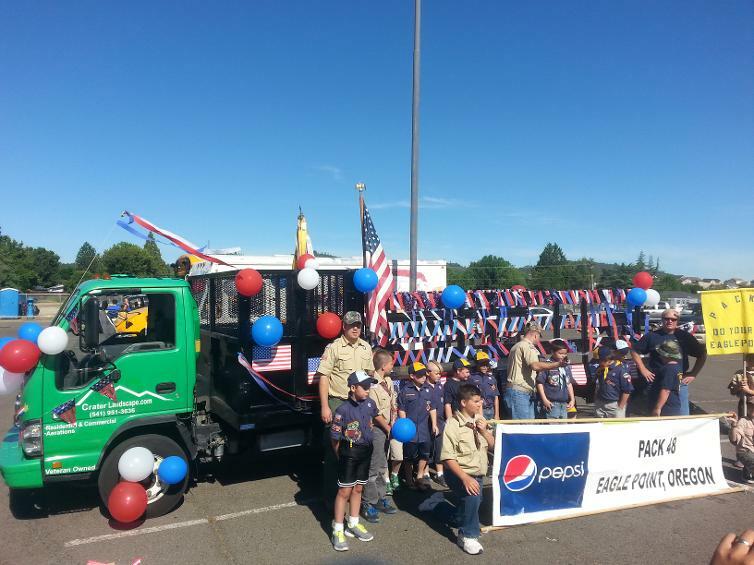 Happy Independence day from Crater Landscape Management and Pack 48.